How do you say “School Bus Stop Chic” in French? 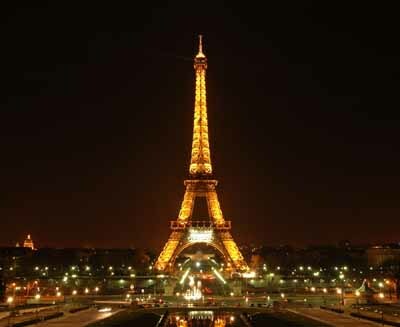 Paris Fashion Week delivers FASHION with a certain je ne sais quoi! Lanvin set the bar on Thursday, (Click the blue for more Lanvin Fall 2014), and the fashion shows following have kept it higher than the Eiffel Tower! 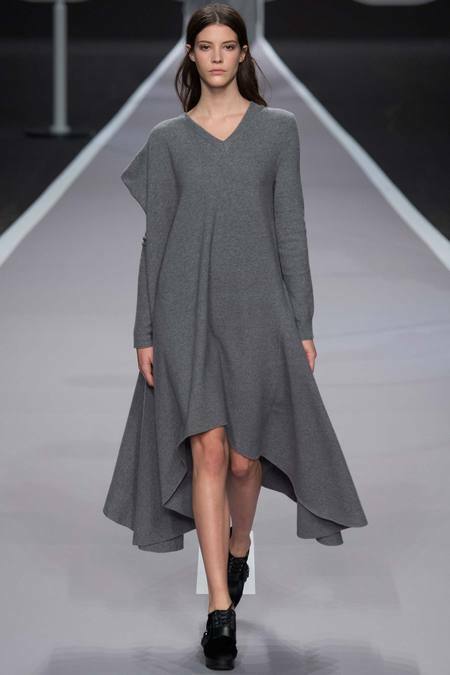 But is it possible to translate these Ready to Wear Collections for Fall 2014 into actual everyday outfits? Simple answer – Mais Oui! 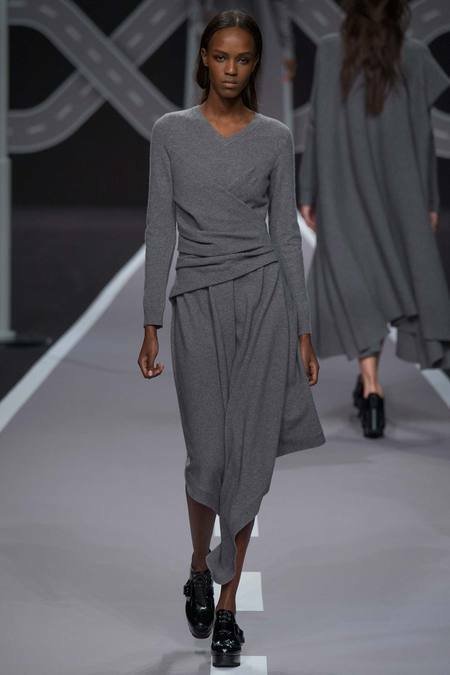 Victor & Rolf’s Fall 2014 Collection is completely influenced by the grey sweater. You have one of those in the closet right? 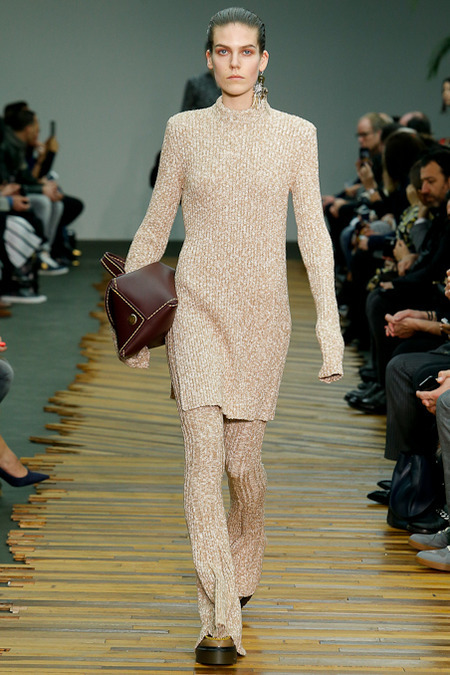 Knitwear was probably best represented in Celine’s show. Skinny knit pants, long sweaters = everyday perfection! Take that yoga pant industry!!! Note to my husband and Phoebe Phillo – this is going to continue to be a very expensive love affair! Have you met my new bag obsession?!?!?!?!? 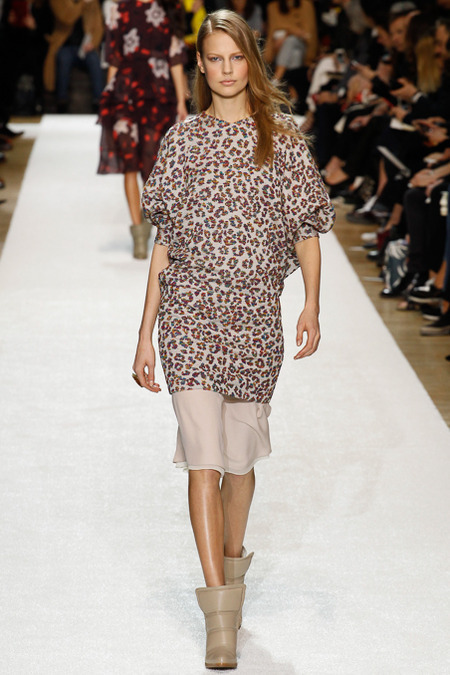 Leopard print is PLUS GRANDE for Fall 2014 so start picking up pieces now that you can incorporate into your wardrobes. Even simple additions like a cuff, scarf or a shirt absolutely count! All gorgeous photos courtesy of Style.com. This entry was posted in accessories, Architecture, Art, Boots, Boston fashion, Boston suburb fashion, children, Cold Weather, Fall Fashion Trends, Fashion, Finance, Footwear Trends, Magazines, Media, Shoes, Shopping, Spring Fashion Trends, Technology, Travel, Trending, Trends, Uncategorized, Winter and tagged Alber Elbez, boston fashion blog, Celine, Celine bag, Chloe, Eiffel Tower, Fall 2014, fashion blog, fashion translation, France, French, husband, Lanvin, leopard print, Lucky, mommy blog, mommy fashion blog, Paris, Paris Fashion Week, Patch.com, Phoebe Philo, school bus stop fashion, Style.com, suburban fashion blog, Viktor & Rolf by reversecommuter. Bookmark the permalink. Oui, la Mode à Paris, c’est magnifique ! Yup, thought of you re leopard.